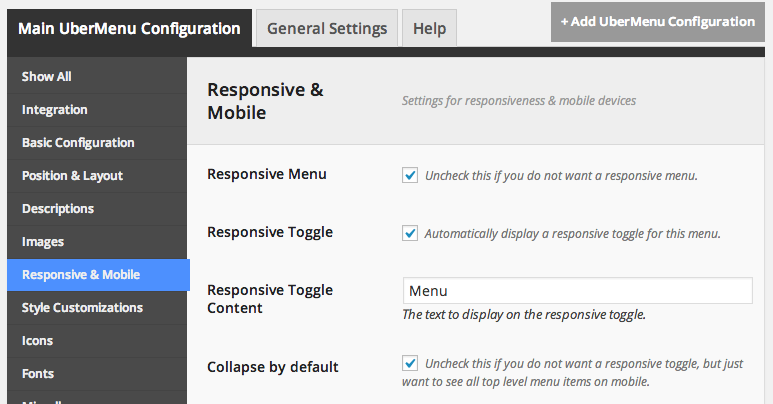 Below the responsive breakpoint (960px by default, configurable in the Control Panel), UberMenu collapses and is replaced by a responsive toggle button. By default, the toggle button will display “Menu”. You can change this to whatever you like in the UberMenu Control Panel, shown above.